Real estate agents say they've been forced to take more control over sub-letting. 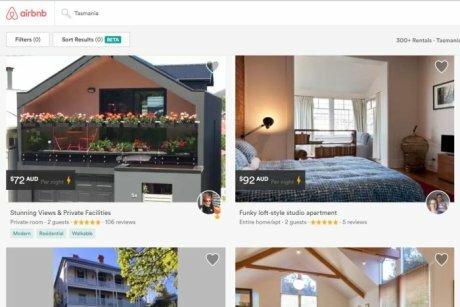 Some Australian real estate agents are updating their rental leases to stop tenants from secretly subletting properties on Airbnb. One lease, seen by the ABC, said the tenant must not use Airbnb without the "written consent" of the landlord in each instance. 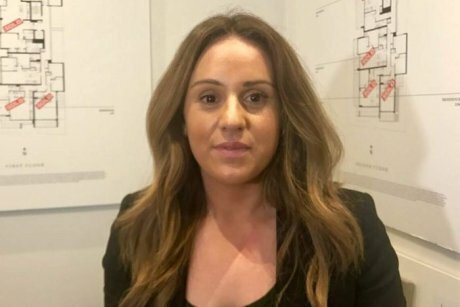 Candice Deane, a senior property manager in Melbourne, said this clause gave landlords more protection. Photo Candice Deane has started inserting Airbnb clauses into leases. "Security and maintenance are the main issues, and if we approve that tenant, we want that person to be the person in the property," Ms Deane told the ABC. "We discourage [sub-letting on Airbnb]. We don't motivate it and we don't want it to happen." Ms Deane said in one case, she discovered a tenant was renting out an apartment on Airbnb while they were away on holidays. "She was leaving keys in the mailbox for people to come and collect. So quite a few of the other occupants got really concerned about keys being left, who's getting them and what's going to happen to her apartment," Ms Deane said. "She was also asked to leave." In another instance, a Melbourne tenant was making thousands of dollars a month by hosting Airbnb guests full time in a leased apartment. 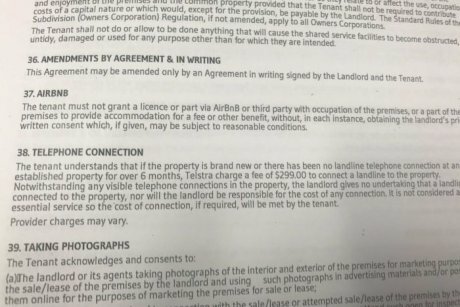 Photo A lease obtained by the ABC that includes a clause banning the tenant from putting the property on Airbnb without permission. Malcolm Gunning, president of the Real Estate Institute of Australia, said agents had been forced to take more control over sub-letting. "It's primarily apartments where the biggest impact is, but even [for] a terrace house or home, the owner wants to know how many people are going to live in it because of the impact on the services," he said. "If a property is really intended for two and you have six, that's three times the impact on the property itself. Water usage, the hydraulics, the sewage system, and just wear and tear in the house." 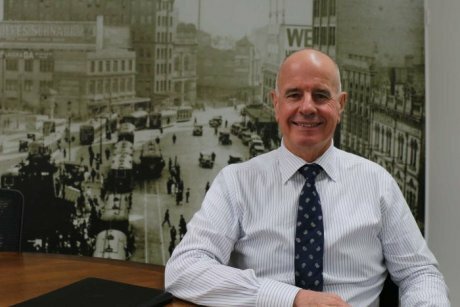 Photo Malcolm Gunning, from the Real Estate Institute of Australia. Airbnb Australia's Brent Thomas said all people had a right to share the home they lived in, regardless of whether they were an owner or renter. "Home sharing helps everyday Australians earn a little extra money to pay for their biggest expense — the cost of their housing," he told the ABC. "We ask all hosts to certify they have permission to list their space and remind them to check and follow local rules before they list and throughout the year. "A tenant who shares a spare room whilst they're living there or the whole home whilst they're away on holidays is actually a good use of their home." Airbnb has an insurance program called Host Guarantee, which provides protection for up to $1 million for eligible hosts for damages. Sydney-based landlord Patrick Morrisey has leased out his rural property in the Byron Bay hinterland for the past few years. His past two tenants sub-let rooms on Airbnb without his knowledge. He said he was alarmed when he found out, because it raised liability issues and increased maintenance costs. "The first time I visited, I saw a sign on the front fence and a new name had gone on the property. So I Googled that and it came up on Airbnb," he said. "And with the second set of tenants, a friend of mine flicked me the page from the Airbnb site." He said he set the rent so that local residents could afford to live there, and he did not intend for it to be run as a tourist operation. "I found it quite distressing because the rent was really set at a price for affordable accommodation for locals, and those people were missing out on those opportunities because my tenant preferred to have tourists coming to stay on a one-nightly basis," Mr Morrisey said. "I found it to be unfair and it put more risk on me as a landlord because we never had any discussions along those lines and they were doing things without permission." He said once his current lease ended, he would take on a lease that specifically addressed Airbnb. 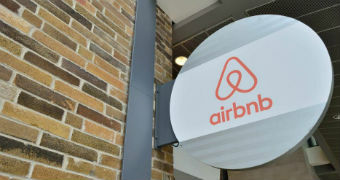 Ned Cutcher from the Tenants Union of New South Wales believes a renter should be allowed to share their leased property on Airbnb — as long as they bear responsibility for any problems. "It's the kind of decision a rational adult person should be able to make about their housing," Mr Cutcher said. "The idea that because your household is established with a residential tenancy agreement rather than a mortgage, that you should somehow be restricted in the decisions that you can make is something that I struggle with." Mr Cutcher said hosting an Airbnb guest was no different to a renter choosing to bring in a flatmate or sub-letting the property while on holidays. "In Australia we have this idea that property equals wealth. And I think that it's fair enough that some tenants would want to try and tap into that a little bit as well," Mr Cutcher said. "I don't see any kind of moral problem with a tenant seeking to profit from their interest in a property in the same way as anyone else would." However, Mr Cutcher said he drew the line at tenants who leased a property to run as a full-time Airbnb without the knowledge of the owner. "The idea that you're sharing available space while you're away is one thing. But if you've actually adopted a business model to extract the most value out of a property by letting it out on Airbnb, I do think that's a problem," he said. A Melbourne landlord has won a legal battle to evict tenants who had been sub-letting her St Kilda apartment through popular accommodation-booking website Airbnb. Catherine Swan went to the Victorian Supreme Court to appeal a ruling made by the Victorian Civil and Administrative Tribunal (VCAT) earlier this year that the tenants should be allowed to stay. It found Barbara Uecker and Michael Greaves had not been sub-letting the apartment but instead granting guests a licence to occupy it. The pair had been advertising the entire apartment on Airbnb for $102 per night for short-term stays when they were away on holidays or staying with friends. But Supreme Court Justice Clyde Croft overturned the VCAT ruling, finding the apartment was in fact being sub-let, in contravention of a clause in the rental agreement. Ms Swan said she hoped all leases would now include a clause to cover such cases. "You've got to give landlords certainty, we can't just be leasing out our properties and not knowing what's going on in them," she said. "It's not really Airbnb ... it's tenants taking advantage of sort of a gap in the system." In handing down the decision, Justice Croft said there were already examples of how to change the wording of rental agreements to prevent similar cases. "Many commercial leases restrict the tenant from sub-leasing ... granting any licence to occupy all or part of the leased premises ... without the landlord's consent," he told the court. "Broad terms such as this would prevent ... sub-letting or licensing without the landlord's consent." In recent years, there has been a vast increase in the use of online letting services, such as Airbnb and Stayz, which allow property owners to rent out their property for short term letting through websites that can be accessed worldwide. The property management industry and investors may be alarmed about the recent VCAT (Victorian tenancy tribunal) decision regarding AirBnB and rental property. The case sourced from www.austli.edu.au is below. Real Estate Excellence have received a number of enquires from members in recent months over this concerning possible trend; particularly in the Sunshine Coast area of Queensland. Section 238 of the RTRA Act is the relevant section that applies to Queensland rental property. Real Estate Excellence will be conducting further enquiries into this matter and will advise members of Real Estate Excellence via the member update service of advice and follow up information regarding this concerning issue. One of the main concerns is in the event of personal injury of a 'guest' who is using the premises as a 'hotel' as is suggested. An option for you - there is a sunset cruise that leaves from our venue at 5.30pm for one hour and a half at the cost of $40 per person. For $99 you receive the cruise and a three course dinner at Dundees restuarant which is just beautiful. If you wish to attend, please visit the link below and arrange your booking direct with the supplier. Seats are limited so please book asap to avoid missing out. Geoff, Melissa and I will be on the cruise and heading to dinner afterwards. Win me for the day and I shout the team lunch! The agency must be in Australia. One day in your office presenting private training on the 29th November 2016 - times 9.30am to 12.30pm (short break in between) and 2pm to 4pm. Lunch provided and paid for by Stacey Holt, Real Estate Excellence on 29th November 2016. The training topics for the day are to be selected from the Real Estate Excellence private training "MENU". If you wish to see the private training menu, simply contact us to receive. Workbooks for the training will be provided by Real Estate Excellence to the client within 3 business days of the event for the client to print. Client to provide the venue and a suitable room to carry out private uninterrupted training services. Attendees of the private training can be from the winning agency only. Every attendee gets a ticket in the draw; the more staff from the office the more chances to win! The prize will be drawn as a 'lucky door prize' at the close of the PME Convention 2016. 1.9 Notices - what are they? Standard term 44 of the General Tenancy Agreement Form 18a states that all notices have to be in writing and if there is an approved form, in the approved form. Therefore everything by law under the tenancy agreement is required to be in writing. Firstly it is important to understand where the standard terms come from; the standard terms 1 to 44 of the Form 18a are law and come from the RTRA regulations. The terms have literally been copied from the legislation (regulation) and gazetted into a Government form called Form 18a (including page 1 and 2 of the Form 18a). Notices means all communication under the agreement and is a ‘legal’ term. Simply, notifications of any matters under the agreement must be in writing. This means that the both the agent/lessor and the tenant must notify of any matters in writing as per the legal terms of the agreement. Approved form means the Government approved forms such as Form 9 entry notice, Form 11 notice to remedy breach etc. ; note that the standard term (clause) 44 requires that approved forms be ‘in’ the approved form as opposed to having to be ‘on’ the approved form. Property managers are encouraged to always use the approved form in practice; you cannot go wrong by doing so. Note that commonly tenants may give notice via email without the Form 13. This may be compliant under the legislation if the tenant has met the requirement of what is required to be in the approved form (format). Refer to PME chapter 18 for more information regarding the above if required and of contact Real Estate Excellence via email as part of membership services. Australia Post has made changes to its letter delivery service, effective from January 2016, which has created two types of standard letter delivery, being "regular" and "priority". REGULAR: 2 to 6 business days (depending on the destination and origin). This will have an impact on both the deemed service of documents by post under the Acts Interpretation Act 1954 (Qld) as well as the actual delivery of such notices and other documents sent by post. The Acts Interpretation Act provides that a notice will be deemed to have been served in the ordinary course of post, unless the contrary is proven. The term "ordinary course of post" will have potential different meanings, depending upon the method of regular post used as well as the origin and destination of the notice. Accordingly, the actual date of deemed service of notices will vary depending upon the evidence submitted in relation to the ordinary course of post between the origin and destination of each notice. This will have an impact upon notices served by the Body Corporate, such as Notices of Annual General Meeting, Levy Notices, Remedial Action Notices, Contravention Notices, etc. Given that a Notice of General Meeting is required to be given at least 21 days prior to the date of the General Meeting; it will be highly problematic for Bodies Corporate to have owners being deemed to have received the Notice on different days, depending upon their address for service.